We all wait for the festival of Holi every year to color our lives, but have you ever considered celebrating this year’s Holi in Goa? Yes, Goa; a land where every festival celebrated has its own striking appeal. The land which in itself is so colorful that you perhaps cannot imagine the spectacles and its aura of a colorful festival like Holi been amalgamated in its colorful processions, the most stunning feasts, loudest of music and dance and without forgetting – it’s vibrant culture. Holi festival is one of the best Indian festivals which you cannot miss, and just because of its benevolence, compassion, brotherhood and its true color of love. Holi celebration in Goa, in spite of its long year of Portuguese influence, has retained this festival that has been celebrated every year with deep fervor. The wonderful sun-kissed golden beaches with lines of swaying palms and mystical blue strands of ocean running in tandem with the warm sands provide a perfect atmosphere for a festival celebration like Holi in Goa. Goa is one of the best places to celebrate Holi, in India. The energy of the people here is something that you cannot miss. Called Shigmo, in Goa, Goa Holi festival is celebrated by all masses, irrespective of their religion. As a Goan trademark, this festival is also celebrated with drumbeats and enactments of mythology. Performances by various troops, parades and cultural drama shows are performed. 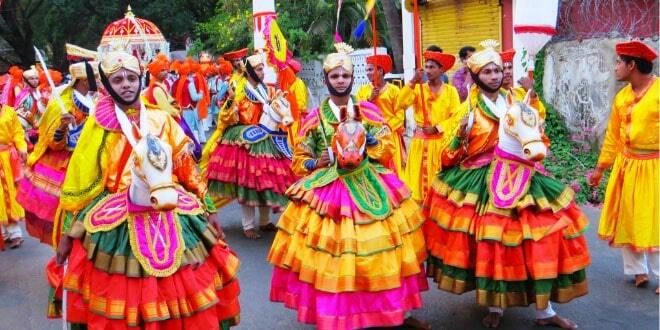 In Panaji, Goa, the Shigmotsav Samiti organizes parades around the place carrying large effigies. Hindu temples all around the state organize Holi celebrations in their own unique ways. Prominent and best Holi celebrations in Goa are the celebrations at – Panaji, Vasco Da Gama, Margao, and Mapusa. 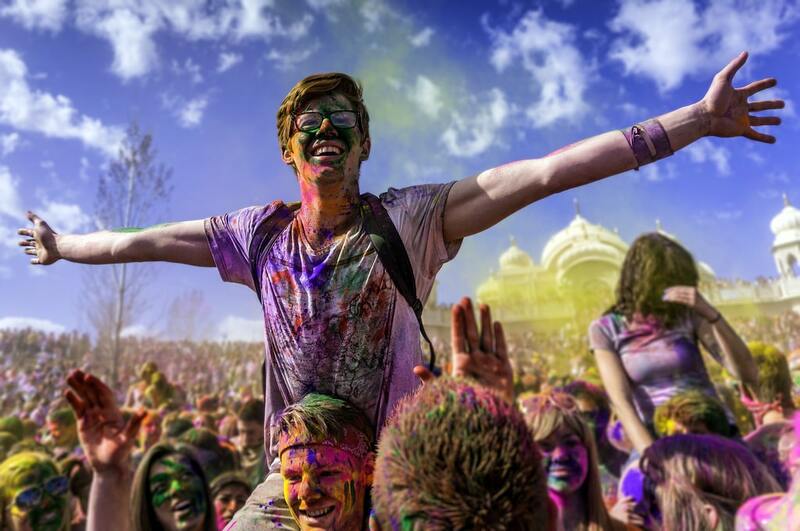 This year Holi in Goa will be celebrated on 20th and 21st March and if you are planning to celebrate Holi in GOA so here we have for you 2019 top 5 Holi parties you shouldn’t miss. 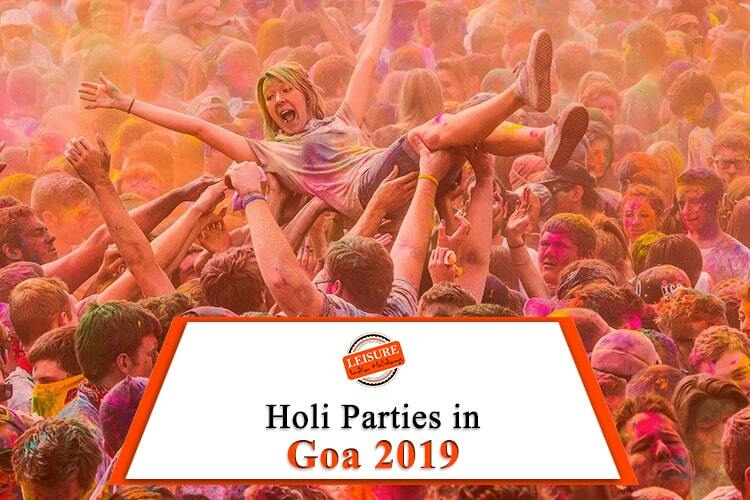 The essence of celebrating Holi in Goa is to take a break and make it interesting and visit the top Holi parties in Goa in 2019. Popularly known as the Party Capital of India, the Holi parties in Goa area class apart. It is the 9th consecutive year that the celebrations are going to be hosted. The endless line up of celebrities and artist makes this one of the most happening celebrations during Holi celebration in Goa. Location – Destination One, GTDC Hotel Complex, Calangute Beach, Goa. 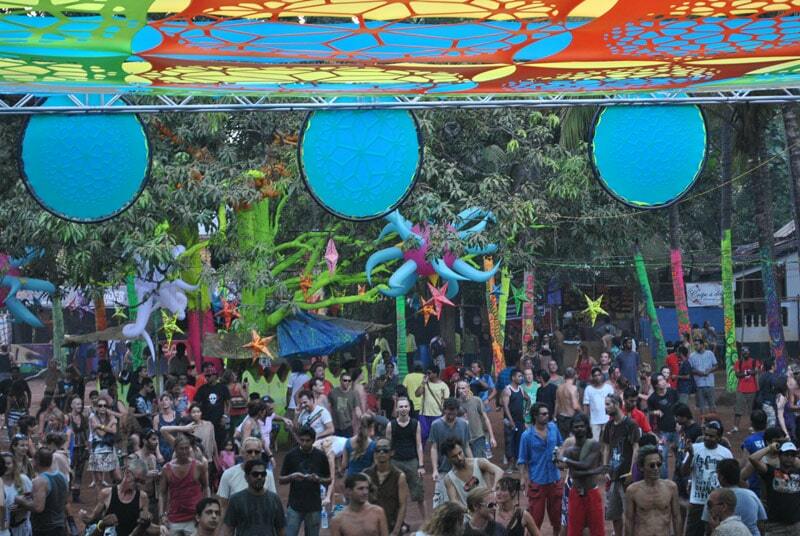 The Hill Top is a place for trance lovers and a place to be at for psychedelic parties. International DJ is the attraction of the Holi event in Goa. Estimated Price – Entry is free for all. There are various food and drinks stalls in the area where you can pay and buy whatever you like. Colorland is perhaps the biggest of all Holi fest in Goa that happens in Goa every year. Nothing could be more grandeur than this event with big names in entertainment been associated with it. Location – Nyex Beach Club, Dmello Vaddo, Anjuna, Goa. Estimated Price – INR 500 and INR 1000 per pass (admits two) for entry. Rest everything separate inside as per choice. A great platform for people to dance their way out in any Holi party in Goa to the tunes of budding young DJ’s in Goa. Estimated Price – Entry only for INR 100. The Jungle Calling Festival during the Holi festival is a great way to answer the call of the wilderness in festival flavor. Location: Origins, Near Shalai Resort, Ozran Beach, Vagator, Goa. Estimated Price – Free Entry for residents of the hostels, lodges, and hotels in the area. 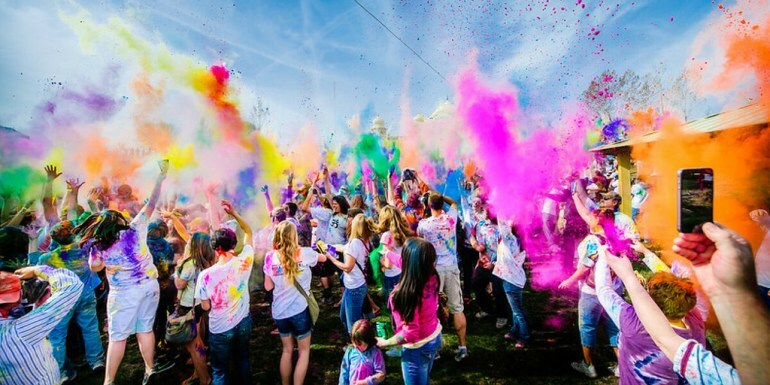 Visiting Goa during Holi festival is definitely something that you should look forward to this year. Being the party hub of the country, people from all over the world visit Goa not only during the Christmas and New Year but also during Holi. With all the variety of entertainment, beaches, pubs, restaurants, and other tourist places reflect another personality during the Holi in Goa. The cultural aspects come forth with the commencement of the Shigmo Festival. Shigmo Holi is one of the different types of Holi and it has two variants – the Dhakto (small) and Vadhio (big) Shigmo. While the first one is of more significance to the farming segment, the rural people and laborers the second one – Vadhio is celebrated by all and everyone. Out of the many things to do in Goa during Holi, you just cannot miss out participating in the dancing, singing, and feasting along with a large procession during Shigmo. Holi is celebrated throughout India with the same enthusiasm and valor. Yet, Goan Holi is something that you need to be there to witness and experience the exorbitant. This out you still have the opportunity to be the part of a memorable and rich experience that beckons you. So, don’t wait and grab your tickets today.